A small boy speaking an unknown language is abandoned by his father at an international airport, with only the clothes on his back and a handful of money jammed in the pocket of his coat. So begins The Volunteer. But in order to understand this heartbreaking and indefensible decision, the story must return to the moment, decades earlier, when a young man named Vollie Frade, almost on a whim, enlists in the United States Marine Corps to fight in Vietnam. Breaking definitively from his rural Iowan parents, Vollie puts in motion an unimaginable chain of events, which sees him go to work for insidious people with intentions he cannot yet grasp. From the Cambodian jungle, to a flophouse in Queens, to a commune in New Mexico, Vollie's path traces a secret history of life on the margins of America, culminating with an inevitable and terrible reckoning. With intense feeling, uncommon erudition, and bracing style, Scibona offers at once a pensive exploration of how we are capable of both inventing and discovering our true families and a lacerating interrogation of institutional power at its most commanding and terrifying. 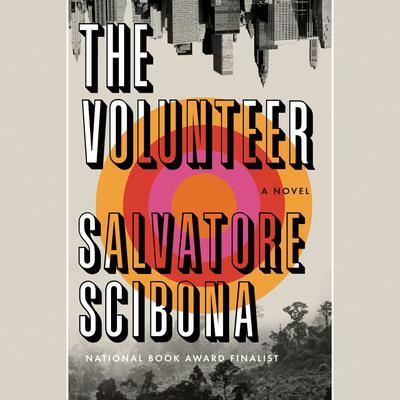 An odyssey of loss and salvation ranging across four generations of fathers and sons, The Volunteer is a triumph in the grandest traditions of American storytelling.